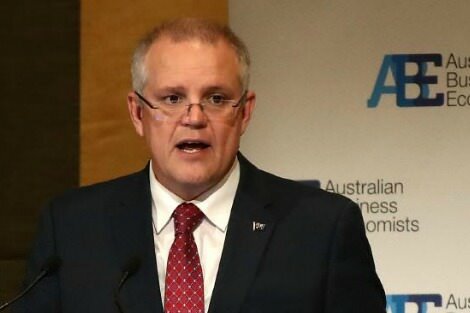 On Tuesday evening, Treasurer Scott Morrison will deliver the first Budget of the narrowly re-elected Turnbull Coalition government. Part of the cost of the double dissolution election last July has been the creation of a Senate with the largest, most diverse group of crossbenchers ever to sit on the red benches. This will make the passage of any new Budget contested measures difficult, particularly given the Prime Minister's vulnerability on his right flank, and the Labor Party's propensity to mimic the Opposition tactics adopted previously by Tony Abbott. The federal Budget is not merely an economic statement. It is a social compact. It declares the government's priorities and displays its vision for Australia. Or at least, it should. We have never taxed as highly as the Scandinavians. Neither have we provided the same comprehensive suite of social services and hole-proof social welfare net as them. Nor have we taxed as lowly as the Americans. We have never relied so heavily as have the Americans on private philanthropy to meet the needs of the homeless on the streets. The strain on our health, education and social services is now showing. But there is no appetite in the major political parties for increased taxation. So, increased services in one sector need to be matched by savings in another. Submarines don't come free. Part of this government's vision includes 'budget repair', 'jobs and growth' accompanied by corporate tax cuts, more affordable housing, a 'priority investment approach' to welfare reform, and a new model for education funding: 'Gonski 2.0'. However, the vision has been clouded by failures in community consultation, mixed messages in the 24/7 media cycle, and the complexity of compromises which need to be cut with Senate crossbenchers holding a variety of philosophies and agendas. "Those issues will be seen to be properly weighted only after real consultation with all players. Government cannot just deliver the right answer with a media statement." The latest instance is last week's announcement of the school funding changes. No matter what the merits of the changes, it was ill-advised to announce a new ten-year funding plan without any consultation with the administrators of the Catholic education system, the second largest system in the country, educating 20 per cent of the school age population. Any government wanting to fund a first-rate education system needs to consider issues of equity, sustainability, choice and independence. Those issues will be seen to be properly weighted only after real consultation with all players. Government cannot just deliver the right answer with a media statement. Government has a legitimate interest in reducing reliance on welfare assistance and in streamlining the provision of welfare services. But it must be done through respectful consultation with welfare providers and welfare recipients. Reform is not assisted by demonising recipients or sidelining long term providers. Government has every right to insist that recipients do what they can to get a job and to pursue training. But government has a duty to ensure the means to enable people to live with dignity when through no fault of their own they cannot find a job or undertake training. Government has every right to insist that welfare providers be as efficient as possible, adapting to the modern approaches to welfare reform, including client-based funding and the priority investment approach. But government has the duty to continue block funding for the provision of services for the benefit of those citizens who cannot avail themselves of the new reforms. Think only of people with disabilities in remote parts of Australia trying to access services through the National Disability Insurance Scheme. It just can't be done without block funding being maintained for providers out back. The National Party should understand that. Since the Global Financial Crisis, Australian governments of both persuasions have argued for and implemented policies to reduce our national debt and to return the Budget to surplus. Every Budget for the last decade has produced a deficit, with governments of both political persuasions espousing the desirability of a return to surplus. Since 2014 both the Abbott and Turnbull governments have implemented a raft of measures which have saved billions of dollars from important areas of social services as well as welfare and family payments. These measures have unfairly placed the burden of 'budget repair' on those least able to cope. "It's difficult to demonstrate our national commitment to mutual respect, equality and the fair go when we have so many families and children still living below the poverty line." The government has promoted a divide between the 'lifters and leaners', between those who deserve and don't deserve our support. The poor and vulnerable are not the cause of our current economic circumstances; they are the main victims. It's difficult to demonstrate our national commitment to mutual respect, equality and the fair go when we have so many families and children still living below the poverty line, when we have 105,000 Australians homeless on Budget night, when we have 250,000 Australians per annum seeking the services of homelessness agencies, when we have 200,000 families on the waiting list for affordable housing, and when so many of our young people are locked out of the job market, while having to survive on the inadequate NewStart allowance of $535.60 per fortnight. This year's Budget is an opportunity for government to commit itself to mutual respect, equality and a fair go for the present generation of 'haves' and 'have nots', and for future generations whose financial burdens will be eased should the deficit be reduced and should growth be sustained. The balance is not readily found when the Prime Minister's leadership is fragile in his own party room, when the spirit of cooperation between government and opposition is lacking, and when the Senate cross bench is so fractious. Here's hoping. Well said Father Brennan. Governments need to look after the common good and not just look to their private interests, desire to hold onto power and ideology for the answers. The parties on both sides are so frightened to raise revenue needed for good social and health services and to enable equality for all not just the elites. True leadership is generally lacking. Tax cuts to the wealthy on the spurious grounds of increasing productivity whilst targeting the poor and vulnerable and reducing educational opportunity and the social determinants of health only lead to social exclusion and warrant the increasing alienation and division and a lurch to the right. History shows the dangers in that. “The federal Budget…displays its vision (or lack of it ? ), for Australia“. Where there is no vision, the people perish. There are current prompts for a War on Waste. In Australia, the driest country in the world, enormous quantities of rain-water fall, particularly on the East Coast, and run out to sea. At the same time, we have abundant potential solar electricity that could turn that water back over the mountains to irrigate our farms. It takes more energy to raise 1 litre of water from freezing point to boiling point than it would to lift that same litre of water from sea-level to the height of Mount Everest. Much of the crisis in our energy production is caused by the peak demands generated by wasteful air- conditioning, particularly in Summer when a fan would suffice, and in Winter when warm clothing is adequate. The human body generates so much heat that if it was all contained, the body would boil itself to death within a few minutes. A Vision for Australia’s future needs to include considerations to help curb all these wasteful practices. As you say, Frank, "Prime Minister Turnbull and his Minister for Immigration and Border Protection Peter Dutton have been making much of Australian values of late." This is blatant hypocrisy. We lock up refugees in miserable conditions and Turnbull claims a commitment to "values of mutual respect, equality of men and women, democracy, freedom, rule of law, (and) a fair go"! Surely to solve the problems, Fr Frank, it is essential to look at both sides of the coin. We are all mainly responsible for our circumstances provided God has given us an able body and a functional brain that allows interaction with others. Those who are not so endowed deserve to be looked after in Christ's name by the rest of us. It is difficult to envisage what might have become of the country with the Great Depression if those unemployed had not been prepared to travel looking for any menial task to support their families, walking from town to town and house to house if necessary. These days some won't travel from suburb to suburb by car or public transport to take a job opportunity and the rest of us are expected to buy their food, ciggies, tinnies, Maccas and mobile phones.. The well off are responsible for the acquisition of their wealth but because they have it does not mean that everyone is thus entitled to the same level of wellbeing or "dignity" in the neo-parlance. In the "REAL" world ,through circumstance, some people are doing it tough. They need an older car to travel across suburbs to get to work long, physically hard hours, for very low wages. They have difficulty paying bills , energy and rent. They pay for a mobile phone to also be able to complete work requirements ( in one recent case a worker was docked 4 days sick leave because he didn't photograph his med certificate and send it to his employer in time for the payroll deadline. He did not have a mobile to do that and a land line call in was not adequate.) These people at the bottom rung of the work hierarchy don't buy lattes, or shop lunches. They have trouble buying new shoes for the fast growing feet of their children. Entertainment consists of sitting home watching TV. They dull their senses to the injustice that is being perpetrated on them in whatever way they can. They live in uncertainty and insecurity. Our Aussie Battler is alive( just ) and certainly not well. Does Mr. Morrison know these people exist or does he see that by ignoring their plight he can balance his budget. Open the window folks and yell out , like Peter Finch in that famous movie"I am angry!" 'it was ill-advised to announce a new... funding plan without any consultation with the administrators of the Catholic education system'. Why Frank? Surely the Church and all other interested parties had adequate opportunities to input to Gonski's original enquiry? If the Government's proposal is an honest derivative of Gonski's proposal, why was further consultation with one particular, albeit large, private provider required. If the Church wants to argue that the total amount of money going to school education is inadequate then fine, but if it wants to argue that it deserves more than a fair share based on need, that's another matter. I have never felt as uneasy in Australia as I do now. It extends through many areas of my life, from listening to the low level of our national debate about migration and refugees, to my long daily commute and the many high-profile incidents of racist incidents on public transport. The fact that 'micro parties' with overtly racist agendas are influencing major party messages, such as in Labor's recent 'Employ Australians First' advertisement, is concerning because it points to these parties' success.